On Thursday’s Mark Levin Show, Brian Mudd from WJNO fills in. We are in day number 12 of the federal government’s partial shutdown. 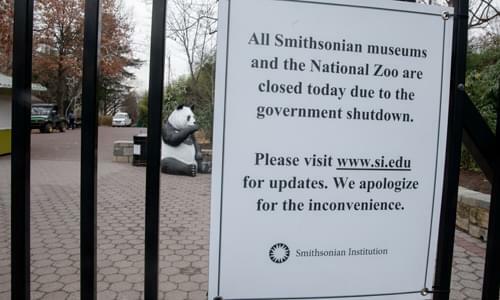 The bigger issue is that despite the media’s effort to paint this as such a dire situation, most of us wouldn’t even remember there’s a shutdown if they didn’t constantly remind us. Think about it, is it affecting you in your day to day schedule? This raises the question: should we really be funding all of these non-essential agencies that we barely notice are gone? The government works for us, not the other way around. Every single day companies across America shutdown and the media never reports on mom-and-pop shops going under, yet we can’t seem to stop hearing about the furloughed federal employees; does that seem right to you? Then, the Democrats are back in power yet they still won’t build the border barrier they agreed to in the past. Despite the fact that 77 countries around the world have border walls that work, our congress continues to defy border security measures that include border wall funding. Afterwards Rep. Nancy Pelosi’s swearing in today as Speaker of the 116th Congress hasn’t proved to be helpful to this cause, nor has the Op-Ed penned by newly elected US Senator Mitt Romney. Even Romney’s own niece, Ronna McDaniel, Chair of the Republican National Committee sharply rebuked her uncle’s critique of the President.